The second largest Chinese celebration will make its way to downtown Cincinnati Saturday for the first time ever in the form of the Cincinnati Moon Festival. 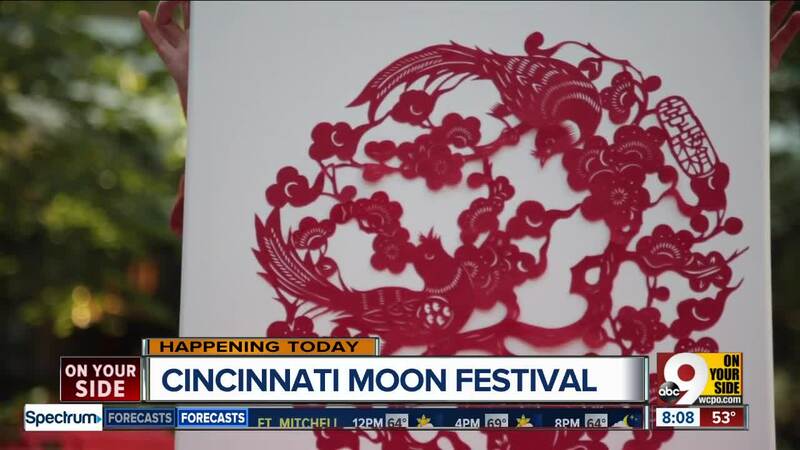 CINCINNATI -- The second largest Chinese celebration will make its way to downtown Cincinnati Saturday for the first time ever in the form of the Cincinnati Moon Festival. 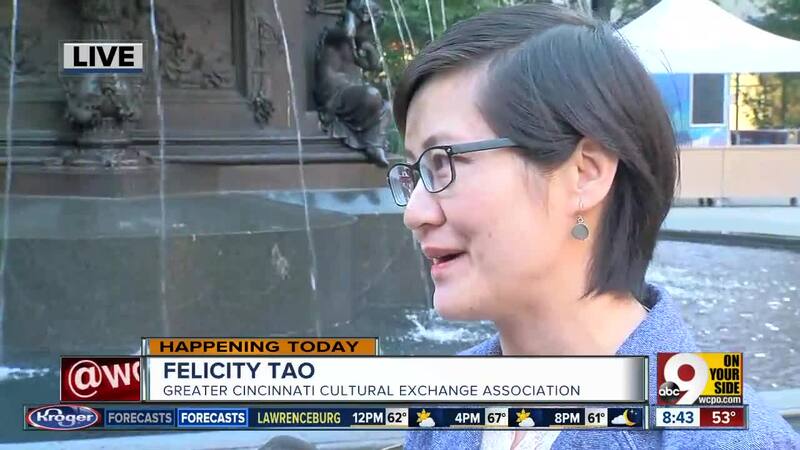 "The Moon Festival is an opportunity for Cincinnati's Chinese community to share its heritage and for our region to experience Chinese culture more intimately," said Felicity Tao, chair of the Greater Cincinnati Chinese Cultural Exchange Association (GCCCEA). "This festival brings people together to honor beauty, light and harmony, and is an authentic way for us create a sense of cultural celebration." The event runs from 2 p.m. to 9 p.m. on Fountain Square. It is free and open to the public. The Moon Festival has been celebrated for over 3,000 years, and is recognized in many east Asian cultures. The Cincinnati Moon Festival will have some interactive activities and cultural exhibits for people to learn about the festival, including a new Chinese movie title "37." Mooncakes, a typically round Chinese pastry made with red bean or lotus seed paste and eaten during the Moon Festival, will also be served. The event will end with a parade of glowing lanterns around Fountain Square. This event was put on by the GCCCEA and the Cincinnati USA Convention & Visitors Bureau as a way to promote inclusion and to celebrate the different cultures in and around Cincinnati. "There is a growing Chinese American population in the U.S. and the Cincinnati region, and we know that the future traveler will be a reflection of the changing demographics of our country," said Jason Dunn, vice president of multicultural sales and community development at the Cincinnati USA CVB. "It is our goal to highlight the richness of the various cultures in the Cincinnati region, and with this event, and others moving forward, there's an opportunity to prove that Cincinnati is a prepared and welcoming destination as we move into the future." RELATED: Top things to do this weekend.